No family case is ‘easy.’ Each case turns on its own set of merits and as such, each case is different and unique in its own way. Based on that simple, yet universally accurate principle, there exists a true need for a master family law practitioner with a diversity of skills based upon background and experience that can offer a wide range of methodologies and approaches to educate and fashion an approach both efficient and effective in this area of dispute resolution. In so doing, a client’s needs can best be served. Attorney Robert S. Menders has been in practice, specializing in Domestic Relations, Family Law, and related areas for a period in excess of 30 years, and in that time has amassed a wealth of knowledge and experience that can be put to effective and good use to facilitate and assist clients to navigate these difficult and emotional times. 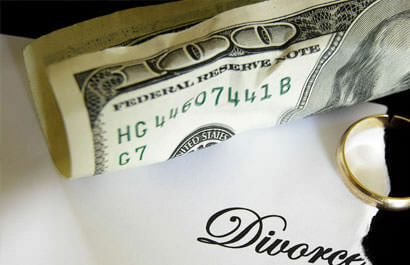 Attorney Menders is a private practice attorney specializing only in Divorce, Family Law, and related matters. As such, a client need never worry that the person that shows up in Court is someone he or she is unfamiliar with and who lacks the requisite knowledge of the facts and circumstances underlying their case. Clients of Mr. Menders get such a commitment in writing! 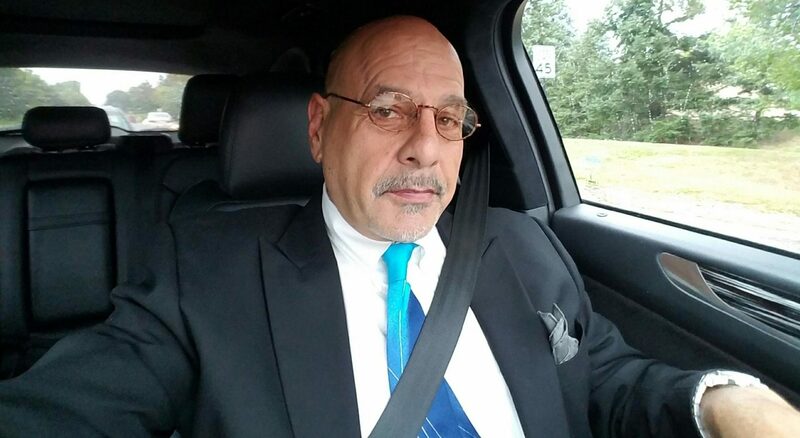 Getting to know his attorneys, Attorney Menders understands the time necessary to get to the facts in detail that underlie each case individually. In so doing, establishing a bond and trust that he will spare nothing at the cost of a client’s success while preserving the integrity of the family, the relationship between family members, and the dignity of its members. a) Initial Consultation-after initial contact by a prospective client by phone or email, an appointment is set for an individual consultation, at NO CHARGE to the prospective client. b) During the initial consultation, I will take an extensive family history, financial history including accumulation of assets and debt. I will make inquiries far beyond the surface, including historical perspectives regarding these areas as they have a tendency to bear on present facts as well as cast ‘light’ on various events that are significant to the potential case. This also serves to provide an opportunity for the client to observe and evaluate me in terms of how I carry myself, the means through which I interact, how focused I am, as well as my ability to articulate on a given subject, etc. By the end of the consult, the client will either be inspired with confidence or not. He or she will know. This process usually takes anywhere between 1 to 2 hours. About half way through, I will begin to identify certain recurring themes and patterns of history, current behavior, as we begin to work our way to the identification of client’s general and specific objectives. Once I believe I have a grasp of such objectives, I list and go through them with the client, to be sure that there is no misunderstanding, and that there may be additional areas of concern the client has that might have been overlooked. At this juncture, I explain how and why things work the way they do in this type of proceeding, again keeping in mind the client’s goals and objectives-short, medium and long term. I then will specifically make recommendations as to how to initiate implementation of those goals and objectives, as well as provide alternate strategy solutions and explain them fully to the client: The time, cost, success rate, and what I would recommend and why. A thorough going over of all the intricacies involved is essential, again, so the client can make an intelligent and informed decision. The client is then offered a Fee Agreement, with everything discussed codified in a writing for the client’s review, and signature. Included in my Fee Agreements, is language that I do all my own work, that under no circumstances will the client’s file ever be handled by someone other than me, that the client will not be billed for secretarial or paralegal expenses incurred by my office on client’s behalf, that the client will be’no-charged’ a minimum of 50% on all drive time provided his account is current, and that any and all fees are refundable at any time. Even if signed, this is not a contract and the client may hire anybody he or she chooses. It merely allows me to get to work and becomes binding once payment is tendered and accepted. After retention, all documents are timely prepared in accordance with the specific understandings reached and approved by the client at the consultation. Upon completion, the client is scheduled to come in and review all documents and any modifications or changes are made there on the spot. Upon completion of same, they are printed, copied and prepared for filing. After documents are proofed, executed and copied, they are organized with any ancillary documents which need to accompany them (most Circuit Courts have local rules which are not uniform across the State, which require typically minor matters to be addressed when filing new cases). All said documents are taken to the County Clerks office for filing. I typically do most of my own filing, only because if there is any problem, and that occurrence is frequent particularly in cases involving minor children and temporary orders for Custody, Support, Parenting Time and/or Interim Alimony, and a clerk to a Judge refuses to accept your paperwork for some reason, if the attorney is not present, it doesn’t get filed. By the time the client comes into see me, goes through the processes identified above, time is usually of the essence, and I don’t like to keep client’s waiting. The filing fees are paid and any temporary Orders, known as Ex Parte Interim Orders are dropped off at the assigned Judges chambers for review by the clerk to the assigned Judge and ultimately executed and returned. Under some circumstances, Emergency Motions are also filed at this stage to avoid the flight of parties’ with minor children, to avoid the misappropriation of property or monies, accounts, etc. Unfortunately, some breakups also require Personal Protection Orders which are also filed at this time, but same are necessary because the threat of risk of injury or harm is unacceptable under any circumstances. Domestic Relations cases often bring on a number of interrelated issues, particularly as they relate to custodial placement of a minor child or children. Michigan Courts in the Child Custody Act have adopted a standard known as the BEST INTEREST. This standard is comprised of 11 different factors, which based upon the child or children’s age(s) tend to vary in terms of weight and credibility, and include: the love, affection and other emotional ties…, the capacity and disposition to give the child love, affection, and guidance re religion and education, the capacity of the parties to provide food, clothing, medical care…, length of time the child has lived in a stable, satisfactory environment…, the permanence as a family unit of the existing or proposed home…, the moral fitness of the parties, the mental and physical health of the parties, the home, school and community record of the child, given sufficient age, the reasonable preference of the child, the willingness of parties to facilitate a close relationship between the child and the other parent, history of domestic violence…, any other factor. As the reader can see, these factors engender a lengthy inquiry regarding all strengths and weaknesses of a proposed case for custody. Besides taking a detailed history, evidence will be needed to substantiate and corroborate claims which favor and underscore these factors. That is accomplished through a process called discovery. It is the means by which an attorney verify and substantiate their claims, and comes through a variety of means; written interrogatories, which are written questions which must be answered under an oath of honesty, and are limited only to relevant and material inquiries, subpoenaed documents from police reports, to credit card statements, bank records… Sometimes, where individuals tend to be less than honest and forthright, the taking of a deposition is necessary, where the attorney has an opportunity to confront and examine a witness, including a party, under oath, while being recorded and which may be used in Court, particularly where a witness or party contradict themselves to impeach credibility. 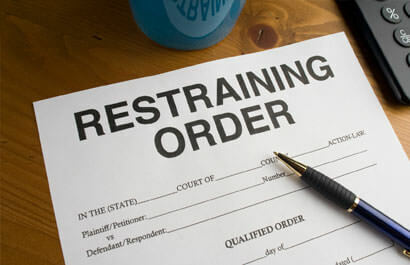 Typically, an average of 95% of all divorce and domestic cases settle without the necessity of a trial. One of the reasons for this high rate is that the attorney has done his or her ‘homework’ and that people in the business, can predict fairly accurately what the outcome of a trial would be given a specific set of facts. Please note this is predicated upon doing a thorough job during all phases of information and data gathering. Another reason for the high settlement rate is that preparation for and conducting trial is very costly! Most parties don’t have an inexhaustible supply of monies to fund a full blown multi day trial including all preparation time. And lastly, most Michigan Courts actually require all divorce and domestic cases to conduct Mediation, in which a professional trained in alternative dispute resolution, essentially go back and forth between the parties and their respective counsel trying to ‘hammer out’ a settlement. Only after mediation is unsuccessful, the parties go back to Court for a series of Settlement Conferences, where the Judge meets with the attorneys only, off the record and in chambers, to facilitate further resolution as well as determine the outstanding issues remaining to be resolved. Often times, the Judge will actually inform the attorneys how they would rule on a particular issue given a specific set of facts. The attorneys then inform their clients in hopes of fostering further settlement. 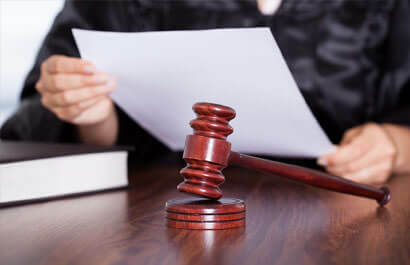 Some cases are set for what is called Binding Arbitration, which is very much like an informal trial, but much more expeditious, saving client’s time and money. The biggest difference between Mediation is that it is not optional, and the recommendation of the Mediator is non-binding, that is to say, if either party rejects the Mediation award, the case goes back before the Judge for further proceedings, including possible trial. Binding Arbitration is strictly voluntary, both parties must agree, and in the event they do, the Arbitrator’s findings are binding and become the basis of a Judgment of Divorce. In the event settlement is unobtainable, the Judge schedules the case for trial. Usually, the parties through counsel have isolated and identified core issues for trial, but not always. At trial each party has an opportunity through counsel to present their case in chief, including calling witnesses, introducing both testimonial and documentary evidence (obtained through discovery), as well as impeach the credibility or evidence of the other party through cross-examination and introduction of evidence which tends to discount or challenge the validity of evidence presented by the other side. There are no jury trials for divorce cases in Michigan. The biggest single problem I have found trying divorce cases in Michigan is that the Judges often have a very busy docket, and often must interrupt trial proceedings to handle other matters, which means a lot of scheduling problems, waiting around, etc. 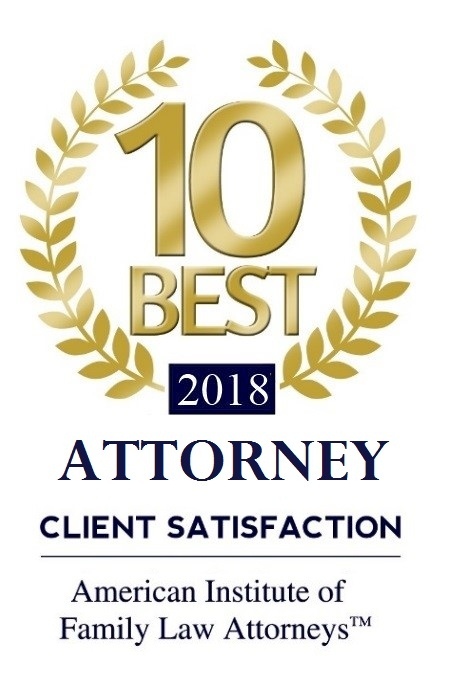 The most common areas which require the Court to go back and redress past issues are in the area of Child Custody, Child Support, Parenting Time, and occasionally Alimony or Spousal Support. Either party may upon proper petition, typically by Motion, request the Court to modify terms of the Judgment or Order based upon a Material Change in Circumstances that underlie the request. Those Motions must be filed with the Circuit Court who has continuing jurisdiction over the case and is set initially before the Friend of the Court Referee assigned to the original Judge assigned to your case. Once the Referee has reviewed the Petition, Response and supporting documents and heard oral argument, either party if dissatisfied may request what is called De Novo review, which is an appeal of the Referee’s decision to the assigned Judge. Judges in these circumstances will typically either affirm the Referee’s ruling or set the matter for further proceedings- an Evidentiary Hearing. The Evidentiary Hearing is just like a trial in all respects, an organization of evidence, calling witnesses, cross-examination etc. When matters of Custody come before the Court based upon a material change of circumstances, i.e. a custodial parent seeking to move to another state for employment purposes, a new marriage, etc., the Court will typically set that matter for an evidentiary hearing as referenced herein. I treat every case as if I were in your shoes. If you pay for my time, and I don’t earn it, it is REFUNDED! You will be treated with honor, integrity and fairness. I promise to go the extra mile to fight for you!